You map your ride. You map your run. You map your swim. Don’t forget to map your season! Come find out how to make the best of 2016 at the 6th Annual Endurance Sports Expo! Our pros and experts in running, cycling and swimming have the tips, the training and the expertise to help you go from good to great! Meet national and local cycling, running and triathlon vendors and groups with the latest products, gear, tips, competition schedules, learn about advocacy opportunities and much, much more. 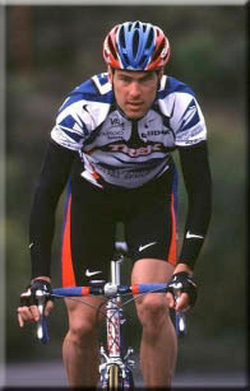 Frankie is one of the most popular and well-respected names in American professional cycling. He retired from racing at the end of 2000 after a 12-year professional career. During his racing career he competed in the Tour de France nine times and was one of the team's most selfless performers and most depended on workers. In addition, he competed in three Tours of Spain and one Giro d' Italia. His racing experience not only encompassed Grand Tours, but also included high placed finishes in World Cup events, World Championships, and Spring Classics. He competed in two Olympic Games, 1988 placing 8th, and 1996 placing 4th in Atlanta.